Native plants have a particular allure for me. Perhaps they evoke memories of my childhood. I remember drawing Tolkien-esque maps of the forest that bordered our suburban home in the Alabama Piedmont. The thicket of Sparkleberry trees (Vaccineum arboreum) I drew to look like Mirkwood Forest; I sketched the huge Southern Red Oak—the meeting spot for my neighborhood friends—to look like one of the mythic trees of Fanghorn. And while I romped through these woods with a pack of irreverent boys, we all had a certain reverence for a cluster of Beech trees that resided at the intersection of two streams. When the winter sun backlit those copper leaves, that golden grove became our Lothlorien. But the allure of natives is stronger than just memory; in them, I feel a more primal pull. For me, there is something very powerful about that attraction—something even ancient. I want to articulate why native plants have this appeal and how this can be used to create bolder, more emotionally-rich gardens and landscapes. Readers of this blog know that I am an advocate for native plants, but sometimes I get frustrated with the reasons I hear for using natives. Yes, the environmental benefits are real: their value to our bees, bugs, and birds cannot be understated. But as a gardener and plant lover, choosing plants based on environmental ethics is kind of a bummer. Life is serious enough already; I want to garden as an escape from weighty moralism. To understand designing with native plants, you have to understand the garden itself. Designed landscapes and gardens are manipulated fantasies. They are our mental projections, our ideas, and our desires projected onto a piece of land. And gardens and landscapes don’t really live apart from us. Ultimately, without our input and continued maintenance, they would cease to be. That gardens are fantasies does not undermine their value; on the contrary, this very fact is what makes them art. If all gardens are fantasies, then native and naturalistic gardens are a particular kind of fantasy. A native garden is a fantasy of what used to be. They are green anachronisms. Yes, native plants still exist in the wild, but the concept of using native plants in designed landscapes is connected to a sense of loss. Native gardens as a genre did not really exist before industrialization. They didn’t need to—native plants were everywhere. In fact, the earliest meaning of gardens referenced their enclosure, their otherness from nature. But now we plant native gardens as a memory of what once was. That doesn’t mean that native gardens need to be mournful or backwards-looking places. Pierce’s Woods at Longwood Gardens is one of my favorite native gardens. It is an exuberant celebration of the flora of the Eastern forests. But part of the emotional power—the source of its poignancy and meaning—of any native garden derives from the reality of loss. Why does this matter? Most of the world no longer lives in meadows or forests. We no longer forage for our food or read the stars to find our way home. As a species we spent thousands of years navigating through native environments to survive; only in the last 150 years have we become removed from these places. But a part of us still longs for this connection. We yearn for a way we used to interact with the earth. Our bodies were not designed to sit in front of a computer for ten hours a day. When we pull weeds or dig in our gardens, we awaken some deep instinct that has long been dormant but still is remembered in our bodies. Great landscape design—and native garden design in particular—taps into this deep emotional reservoir we have in relation to nature. When a small moment in the garden feels like an expansive meadow or reminds you of a clearing in the woods or gives you feeling of standing by a woodland stream, we have an emotional experience. The great advantage of using native plants is they recall a memory of nature better than some overbred rainbow colored rose. Of course, exotic plants also have emotional associations as well. But I would argue that natives are more closely associated with wildness and nature itself; they are therefore richer materials to explore our relationship to nature. So how does landscape design create emotional connections? We must embrace the fantasy that is garden-making. The great fallacy of naturalistic design is to believe it is more natural. What is natural about creating some miniature replica of a native environment in our suburban yard? It is better to see the whimsy in this and make them more whimsical. The dark corners of our garden must become darker and more foreboding; our lighter areas must become more luminescent. Lines must be stronger, patterns more exaggerated, and contrasts deeper. Native gardens can have the same imaginative power of fairy tales. Advocates of native plants focus on ecology—a worthy and necessary goal. But let’s not forget the human aspect. Gardens are for people, too. A return to naturalism’s romantic and humanistic roots would give native gardens an emotional edge they sorely need. Let’s create gardens like fairy tale landscapes, places that seduce, tempt, and above all, lure the visitor to walk down the path. Gardens are for People. Thomas Church wasn't it? You got the reference. Though the Ogdens wrote a pretty compelling counter to Thomas Chuch's claim in Plant Driven Design. A great dialogue! Love this post. Thomas Church was a great, innovative garden designer, but over the years the "gardens are" message got lost in the "for people" part, and all that remains is hardscape--decks, swimming pools, outdoor kitchens, recreational and utilitarian spaces. We do need to awaken the emotional connection with our gardens, focus on the planting design, and avoid the over emphasis on the technical aspects of sustainability and the preachy tone of most "ecological" gardens. Even if sustainable, a garden can be a fantasy (to use your gentle word), an artificial (my harder word) creation, a work of artifice, art. We hear and read a lot about insect life, birds, wildlife--all of which is very important--but little about beauty. Thanks, James. A great point about Thomas Church. I probably overly blame him for the "utilitarization" of American yards, but that probably would have happened without him. James van Sweden, one of my mentors, was deeply influenced by Thomas Church and was able to blend utilitarian uses with richly layered gardens. I have to admit I've been very influenced by your posts in the last year or so. I also feel a very parallel move into the romantic/ humanistic tradition that embraces mystery and emotion. Particularly with regards to naturalistic planting design. That is the tradition it comes from and I think those gardens need that emotional underpinning for them to speak to us. You both make interesting points. As I live in the Bay Area, I’ve had a chance to tour multiple Thomas Church gardens, often with a knowledgeable Church expert along discussing the garden’s features. When I was a design student, the analytical part of me appreciated the artistry in the gardens’ layouts, but the gardener in me was often left cold by the expansive use of concrete and limited, unimaginative plant palette. I love the current evolution in garden design, which builds on the past while layering on new sensibilities of plant aesthetics and environmental awareness. Thomas, you could have written your opening paragraph just for me! The Lord of the Rings was one of my favorite books when I was a kid. When I moved to Northern California, I felt a rush of recognition. The golden hills in summer dotted with random oaks looked like the Shire in my imagination. Great comments. "Left cold" and "analytical" are both great phrases that describe my reaction as well to Church's work. It is good that today's evolution embraces a bit more complexity and richness, particularly in the plant palette. And I'm so delighted someone else found a real parallel to Tolkein's imaginary landscape. 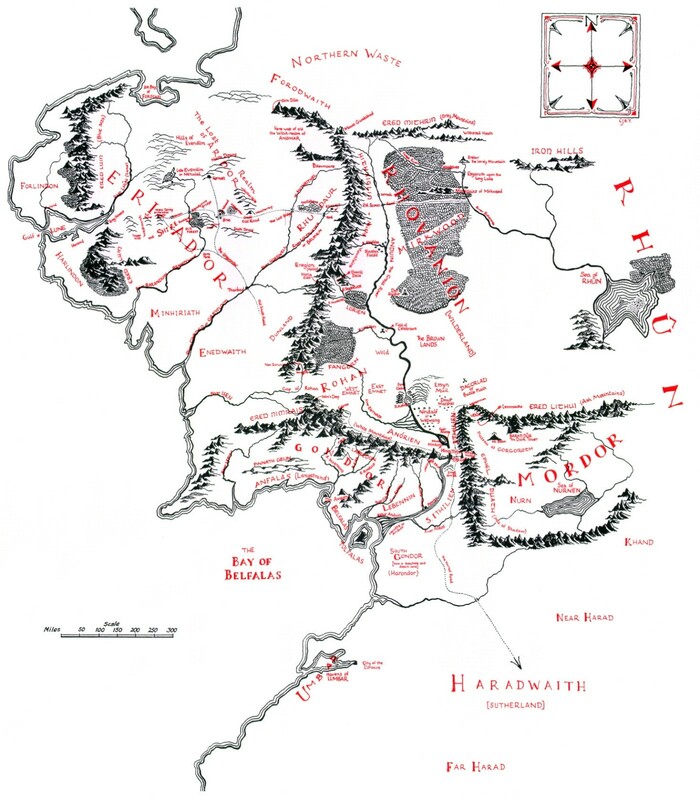 I'm not really sure the Alabama piedmont was really a great parallel to Tolkein--northern California seems a better fit. I was desperate to make the connection as a child, so I my own humble woods were exaggerated to fit the imaginary landscape I was so desperate to be a part of. 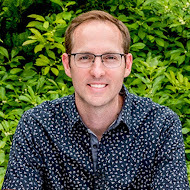 James, I think that the "insect life, birds, wildlife" you mention IS the beauty for many people, it IS the emotional connection; it is not just a "technical aspect of sustainability." Of course, I agree with you and Thomas that a planting that's great for wildlife can also look like a hot mess, which doesn't do the cause any good. Thomas, I love the imagery you chose to go along with this post. Your Tolkien references totally went over my head, but I love the pics, especially the last one of the boy and girl heading into the forest. Where's that from? My Tolkein references prove only that I am a certified nerd--and always was. I definitely agree that wildlife can be an emotional connection--and it is for me. Until evil baby bunnies eat all the plants I nurtured from seed this spring ;) But the argument for wildlife is made so much better by so many other than me (Douglas Tallamy for one) that it's not what moves me to use natives. I'm drawn to their emotional and associative potential. I hope that message might broaden their appeal and re-focus natives in the context of gardens. I love that image, too. That image came from The Big Blue Fairy Book orginally publised in 1889. Andrew Lang edited and illustrated them. The rest of them came from the original version of WIlliam Robinson's The Wild Garden. Such moody, evocative drawings really spoke to the emotional side of gardens and plants. I always enjoy your writing, Thomas, and this was no exception. I very much appreciate your Tolkien-esque story and the reminder to design with natives for the emotional connection it creates. And your images? Absolutely perfect. Your point fits in exactly with something I just wrote about using wild perennial sunflowers instead of annual sunflowers in the garden. The annual sunflowers are more colorful and probably easier to grow, certainly easier in a garden environment. The annuals are also loved by wildlife. So why grow the wild perennials? It's exactly because of the feelings they evoke of wildness and connection to the (mostly) lost world of the prairie. Love it! Where di you write that? Sounds like something I need to read. Thank you,Thomas, for a lovely post. 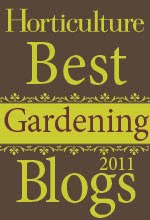 I skim through most garden blogs very quickly, as most are directed at the layman (and my attention span is short). Yours, however, is the one blog that I settle in for and take time to digest--- a much-needed pause to a busy day. You always seem to say so eloquently the truths I adhere to in this business. This post was spot-on. I use natives and non-natives in my designs-- dependent on site, amongst other things (Northern California's oak-studded foothills would look vulgar with too many non-natives, but an urban downtown courtyard would be just fine). I, too, attempt to interpret but not copy nature. There is a sweet spot where aesthetics meets function meets ecology--and an evocative, memorable garden is (hopefully) the end result. Thanks so much for your response. I seem incapable of writing anything light or terse. It's a real flaw. But one of the few advantages of that is that it weeds out all but the most patient, thoughtful readers--like you. It's a real joy for me. Northern California is one of the great natural environments of the world. It would be intimidating for me to design with a backdrop like that, but I imagine it adds real integrity to your design and approach. You've written a beautiful and inspiring essay. I must quibble with you on one aspect. The insects have evolved with the native plants and although a landscape of exotics may be beautiful, for me it lacks the joy of all those six-legged creatures which in turn attract the birds to come and dine. I completely agree with you. Probably the most compelling reason I can think of to use natives is the life it attracts. My goal is not to diminish that argument, but rather expand the reasons to use natives by highlighting their emotional--and possibly even spiritual--appeal in designed settings. The "bugs and birds" argument is a good motivator for some, but it won't convince the majority of Americans to abandon their lawns and evergreen foundation plants. We have to show more beautiful, emotionally resonant designed landscapes with natives in order to broaden their appeal. What I like about this article is that I now feel less obligated to have a factual rationale for choosing natives--I gravitate toward them because I like them! Ha, yes! Obligation is a terrible reason, right? Our gardens are about our pleasure--and my claim is that natives are more pleasurable . . .
Hmm, I'm not sure what I'd think about mandating native plants. The part of me that wants to see them used more likes it, but being told you have to is not very--what's the word--American. No, I think I'd rather not have the mandates. I'd rather persuade . . . Native garden as Rousseau and the noble savage idea/ideal, perhaps? I cudgeled my brain for possible street trees native to Seattle and realized that given elements like size, sidewalks, disease and sensitivity to human activity, I could only come up with one candidate. That's when it really sunk in for me that the idea of reimposing the idea of a native landscape over a cityscape was unlikely to be successful. It's like communism -- it sounds good but it doesn't actually seem work. To some extent, it seems to attract the same kind of people, too. Sigh. Well, the road to hell is paved with good intentions, we just won't get any shade on the descent. And when we talk about wildlife why does the discussion always end with bugs and birds? Elk are more my problem. Thomas, I enjoyed reading your thoughts on using native plants. As someone who advocates using native plants primarily for their wildlife value you've given me lots to think about...especially your phrase 'the concept of using native plants in designed landscapes is connected to a sense of loss'. I'll be pondering that for awhile, I'm sure. I've been waiting for someone to refute that claim. Perhaps there's an argument to be made that using them is a celebration of their existence. I think deep down their relevance now is because we are losing them rapidly. So creating gardens with them in a context of loss is a rather heavy idea for me. I don't think we've fully explored what that MEANS. Is making native gardens like making sandcastles; when development is a sea that has swept them all away in the wild? I don't know. But it's somthing designers need to think more about. Love this post and your thinking. I also like naturalistic planting design, but also with plants from Europe, Amerika and Asia. Most garden books write source of gardening is the yearning for the paradise. I agree with you, naturalistic planting design recalls a memory of nature and the mankind exist much longer than the story of paradise. Now, I have a question to you: What is the reason that more than 90% of gardener like overbred rainbow colored roses, irises, daylilies and so on? Where is the root of that? A great question! I'm not sure I really know or am qualified to answer that. I would guess it has something to do with what is available and what people are accustomed to in gardens. Most of our exotic garden plants have been selected, bred, and marketed for maximum ornamental appeal. I don't mind admitting that many of these plants are prettier than natives. A garden can be a collection of pretty exotic objects, but it also can be an expression of place, of spirit, of a soul of a wilder landscape. I'm much more interested in the latter. That effect can be created with non-natives as well. Many European naturalistic designers have done this to great effect. We still have a lot to learn about beauty and place from native plant communities. A little of the mindset that turned people from wholewheat bread - to the best thing since sliced white wonder bread? From wildflowers to horticultural hybrid horrors? This is an interesting idea -- embracing the fantasy. In addition to emphasizing aspects to create drama, I think many native plants lend themselves to fantasy. For example, I've likened the seedpods of Staphylea trifolia to Chinese paper lanterns. Euonymus americanus seed pods start out looking like ripe strawberries and then open to resemble stars or tiny fireworks. Native plants in the landscape can create and enhance whatever story we want our landscapes to tell. Thanks for creating a space for this conversation! I've never paid attention to Bladdernut's seeds. Your analogy is a good one. I would love for design with native plants to focus more on imagination and emotion rather than just science and ecology. I think it needs that balance now. Yes to gardens that seduce! We definitely need more of them, and I like the idea of adding romance to the native garden as well. I saw some of this at Chanticleer, I believe (or am I making it up that they have a native-esqe garden?). I am a Tolkien nerd too and often compare the cedar brakes that we have so much of in Austin to Mordor! (Our poor native junipers--they get no respect.) But truly, if you were to walk one of the greenbelt trails under their canopies, you'd see what I mean---lots of pointy, dead, gray sticks, mournful trees, and an absence of plant life underneath them. Mordor all the way. Your post has given me much to mull over, esp. the idea that native gardens are sort of elegiac. I just don't feel that way about them. They seem very forward-thinking to me, but maybe that's because I only became a gardener under the tutoring of the Lady Bird Johnson Wildflower Center--I've never gardened any other way than with lots of natives. They feel like the norm to me, not a grasping after something that's lost. Anyway, great post, Thomas. I've seen the Cedar Brakes before. You're analogy is PERFECT. A dismal (yet delightful) place. You're last paragraph gave ME something to mull over. I suppose I did pose native gardens as sort of "elegiac"--a gorgeous word, I wish I had thought of it. But I don't think they need to be mournful in expression, nor do I think they are some backwards-looking genre. Native gardens can (and should be) and exuberant expression of our future. I really didn't make that too clear in my post. Natives are the future, not some trend that will pan out in five years. And native gardens can be joyful celebrations of what is and what was. I have a tendency to be overly philosophic, and I was trying to make the point that good native gardens (and any gardens) speak to the link to nature--or at least how it feels for us to be in a wild space. The connection to a lost landscape need not be mournful in style. But it is the source of its emotional power--even when the native garden is a colorful, joyful celebration of the future. Of all the round-table posts, I think this one is the closest to my own ideal. Even though the other posts were good, they focus almost entirely on design...and not at all on how people experience gardens. It seems anymore, that many gardeners design every space they occupy to within an inch of it's life. I miss the spontaneity of pure, honest gardens! I think too many people want a "landscape", a thing that is controlled, static and obviously artifice. What's wrong with something a little on the wild side. My favorite gardens are the ones that make me FEEL something...nostalgia, wonder, surprise. I don't want to feel like I'm in a setting for yet another Dwell-esque photo shoot, where everything feels like it's being staged. Here, here! Of course, I love your rant. And one of the reasons I find your garden so compelling is for all the reasons you mentioned. It's all about heart, one's personal relationship with a piece of ground. That, my friend, is good damn stuff. I do find value in garden design, as a profession, and in the implementation of a vision. But that is just the starting point in which I hope the owners make it their own. Tim Richardson wrote this great essay entitled, "Can Professional Designers really Hope to Emulate Those for Whom a Garden is a Life's Work?" You would love it. 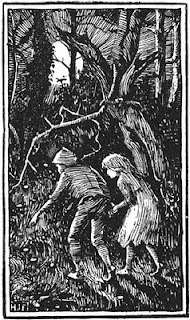 I became a huge Tolkien fan later in life, but your references to your adventures in the woods as a youth made a connection with me. There are times, when a certain aspect of a project will transport me back in time to those woods at the end of our street. The idea of using native plants to reconnect with nature, to a world that has changed dramatically in our life times, is a powerful concept. One that has been lost in the ecological message of naturalistic design. A wonderful point! Excellent post Thomas! I seem to always come away with a better connection to my own work when I read your posts, I'm sorry not to visit more often. I guess that will have to change. That emotional connection to childhood memories of nature is very potent source of design inspiration. It's great when we can tap into that. "Embrace the fantasy that is garden making"..."A native garden is a fantasy of what used to be". I think both of those statements, as well as your area's own reference point, shows the height of outdoor spaces, far beyond "picking out whatever I like" or "covering the ground, meet code..." Thanks for weighing in on this topic, that can help transform us all back from "Generica". Hi Thanks for sharing the fantastic blog. Can a Small Garden be Grown from Seed?